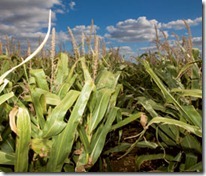 Farmers growing maize for biogas production could soon be better informed about what variety performs best, according to Masstock. 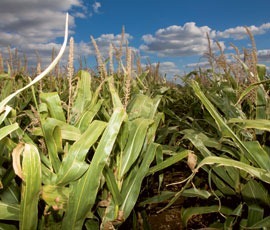 The firm says this year’s maize harvest will provide sufficient data to make a meaningful evaluation of varieties initially developed for the mainland EU market and see how they have performed over the past three years in the UK for growers aiming to supply biogas plants. According to Masstock’s David Neale, some mainland EU varieties were not evaluated for biogas fuel potential before reaching UK shores – a situation that could leave growers and anaerobic digestion plant operators on an unsure footing for future crops. "We will have three year’s worth of harvest data which is a minimum to make an informed evaluation of how varieties have performed under UK growing conditions," he explained. And that news may be long awaited by some growers. International Energy Crop’s Keith Wilson explained maize for biogas production could be a valuable break crop across areas of the West Midlands for larger potato growers – some of whom are effectively operating mono-cropping. "We have already been approached by (potato) growers saying if there’s demand from AD plants they’re ready to commit land." IEC is considering renting potato ground and undertaking all maize operations allowing root growers to concentrate on their core business, said Mr Wilson.